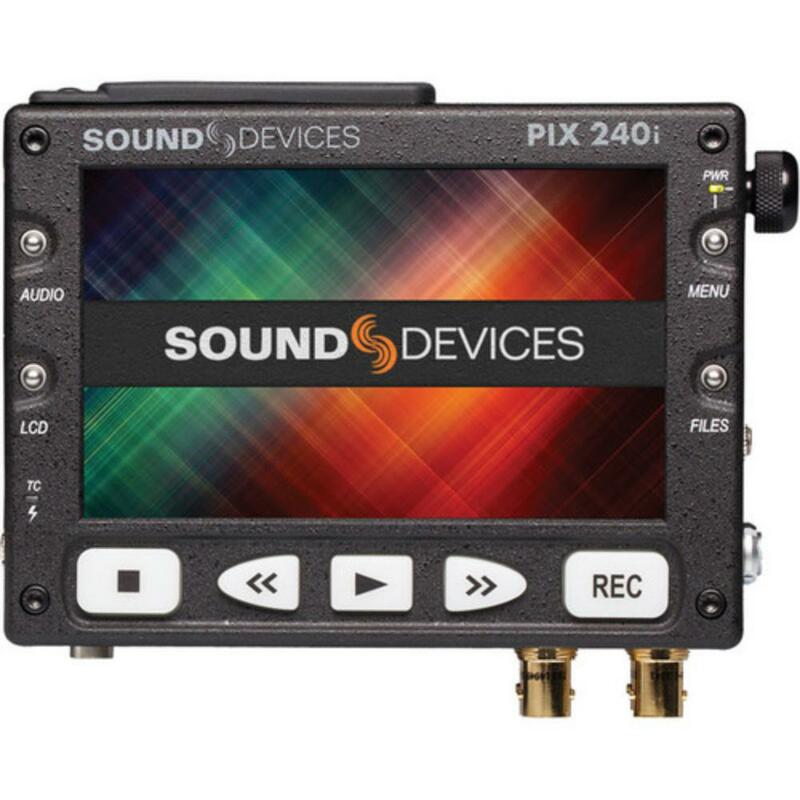 The Sound Devices PIX 240i Video Recorder with Timecode is an external video recorder and monitor featuring gold-plated 3G-SDI and HDMI video inputs and outputs. By SDI, you can record 1080p 4:4:4 color information in 12-bit color depth to Apple's ProRes 4444 codec, or 1080p 4:2:2 10 or 8-bit to ProRes or Avid's DNxHD, and by HDMI you can record 4:4:4 or 4:2:2 in 10 or 8-bit. The SDI input and output both support 8-channel, 48k embedded audio and the HDMI input supports two channels and the output eight channels. 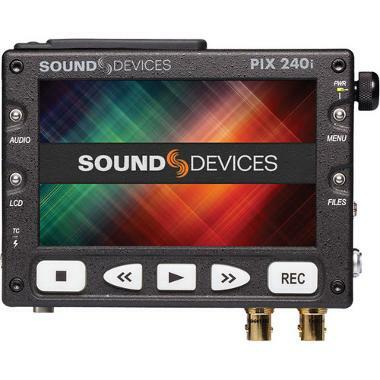 For independent audio, the PIX 240i also has full-sized XLR audio inputs for microphone or line level signals. 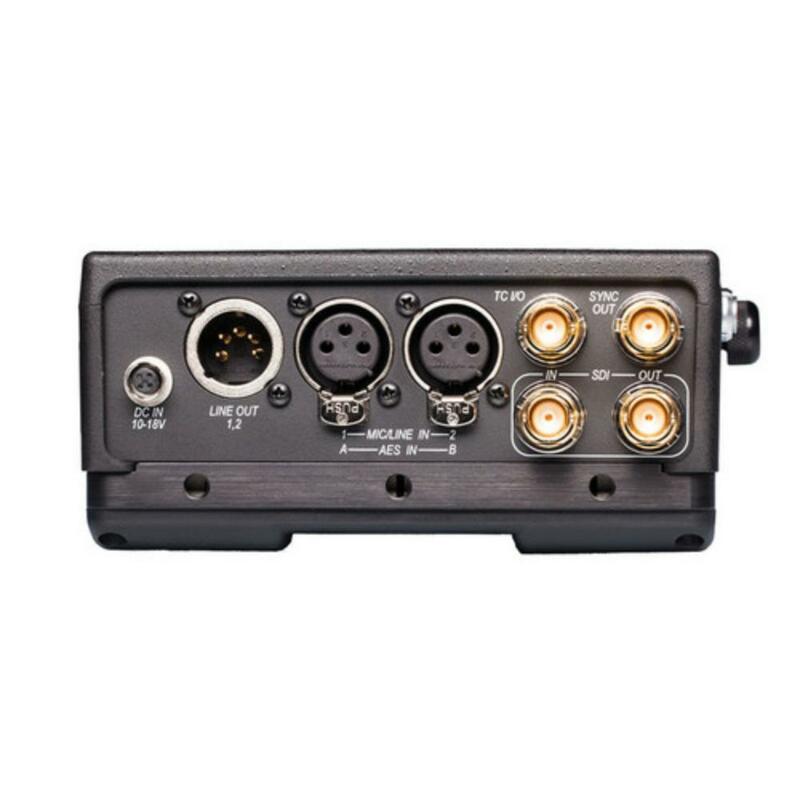 Microphone-level inputs offer 48V phantom power. The PIX 240i features a glossy, 5" display with IPS technology providing accurate color representation and ultra-wide off-axis visibility. An on-board high-accuracy Ambient timecode generator allows the PIX 240i to be used in single camera shoots and complex multi-camera sync-sound productions. Four 1/4"-20 threads on two different axes offer countless mounting options. 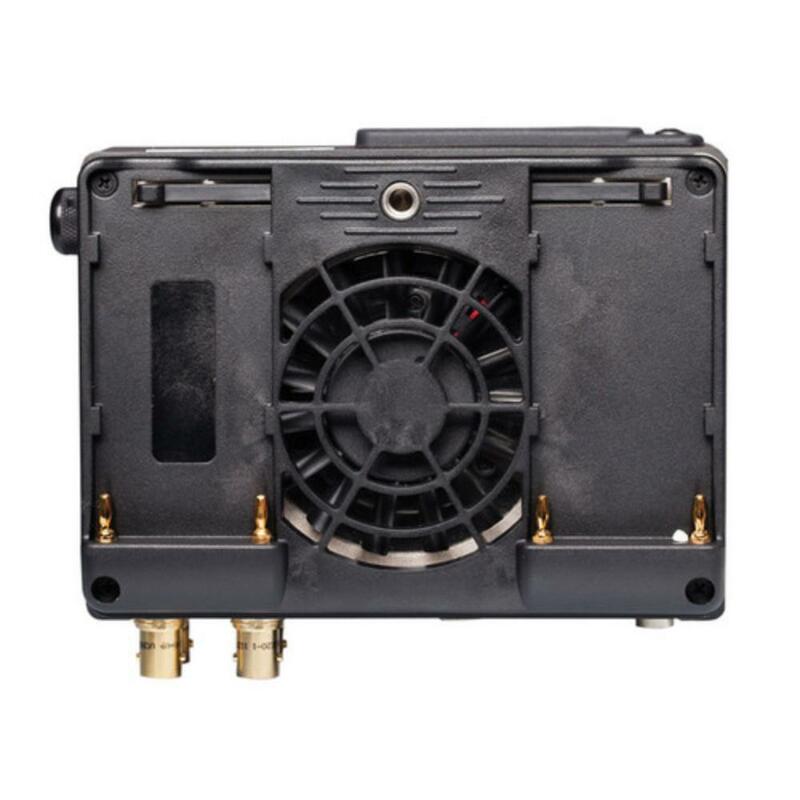 This video recorder is versatile and good for all production sets, large and small.